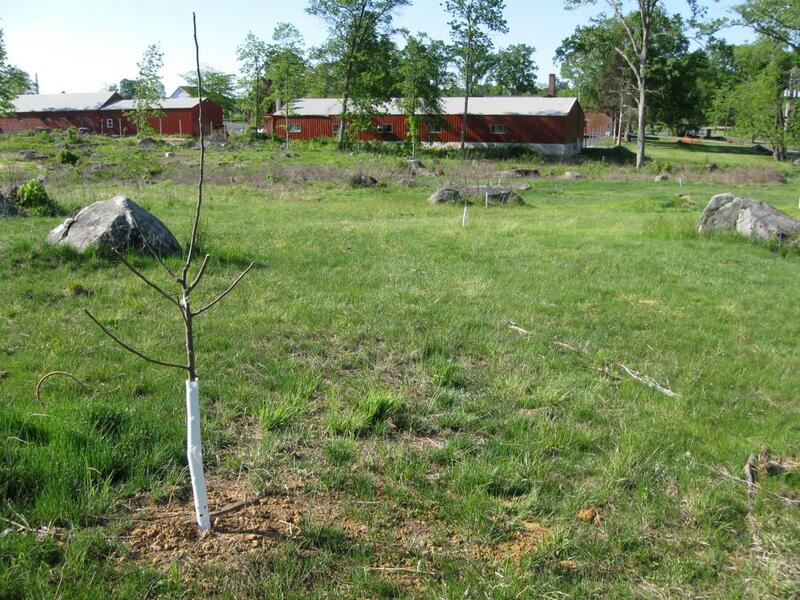 This one of the 15 apple trees recently replanted at the William Patterson Farm. 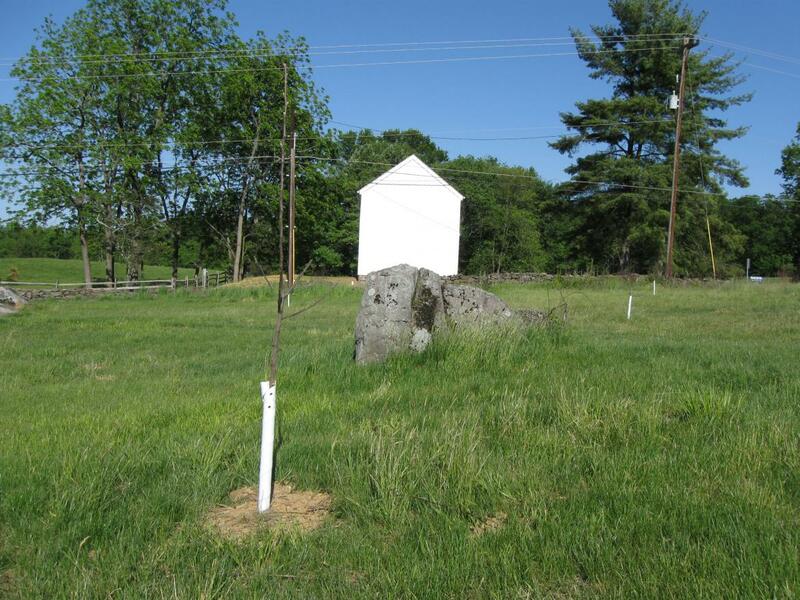 The small orchard is on the west side of the Taneytown Road. The William Patterson House is on the east side of the Taneytown Road. This view was taken facing east at approximately 4:30 PM on Monday, May 10, 2010. 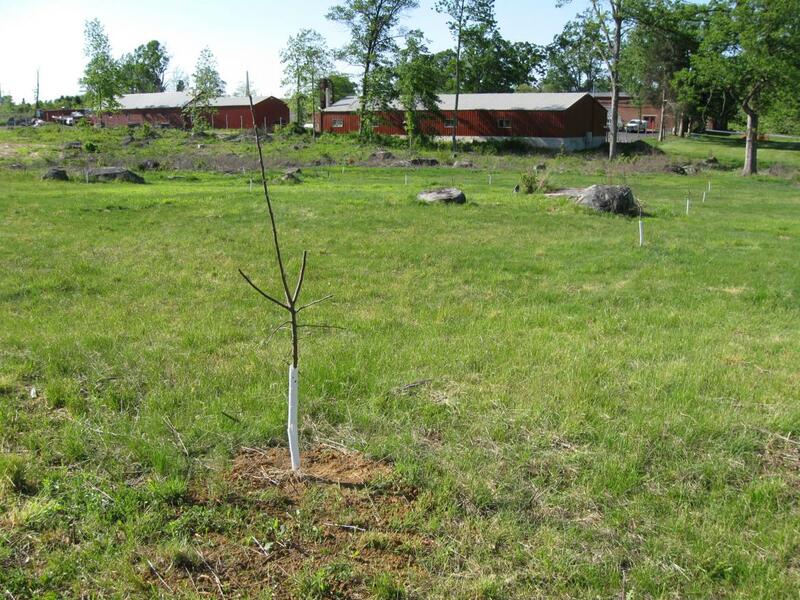 Gettysburg National Military Park’s William Patterson Farm, along the Taneytown Road, has had its orchard replanted. 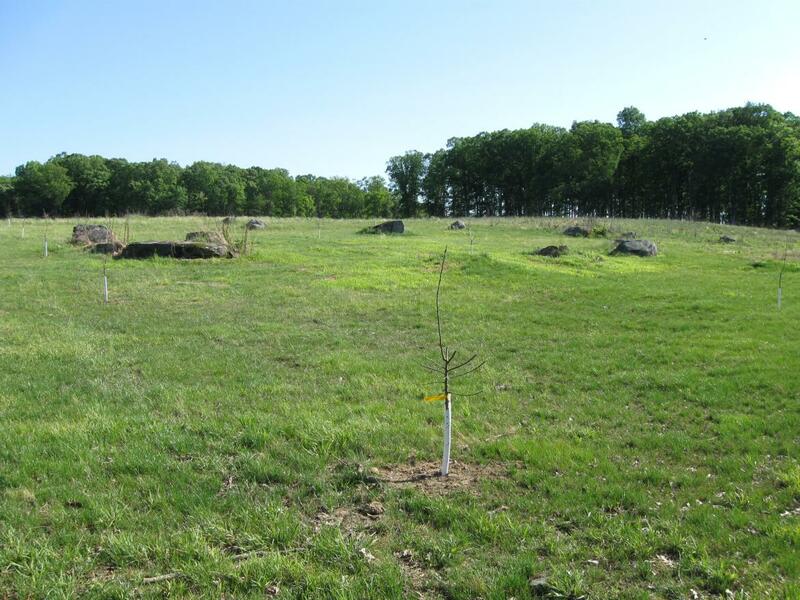 The orchard is west of the Taneytown Road and consists of 15 trees. 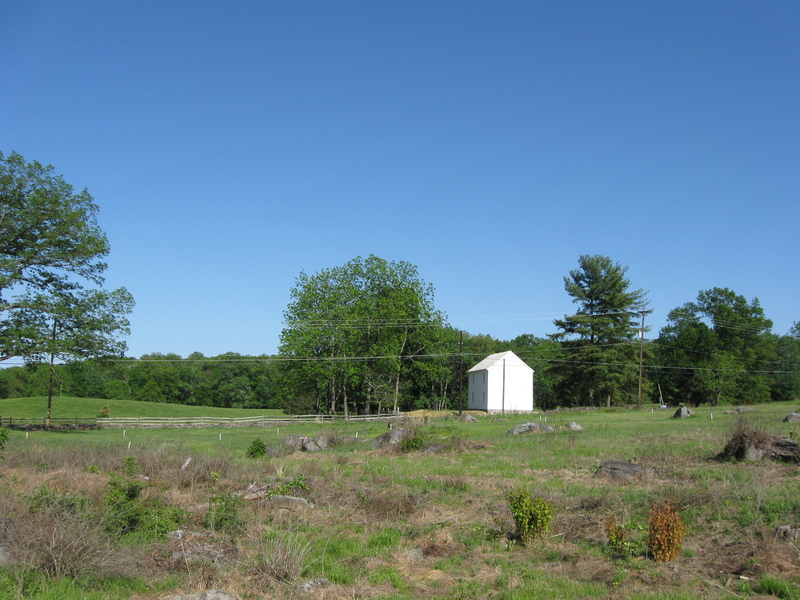 We approached the Patterson Orchard from the area of the Pennsylvania Monument. The trees are inside of the white stakes/pipes/sleeves visible in the grass. This view was taken facing southeast at approximately 4:30 PM on Monday, May 10, 2010. 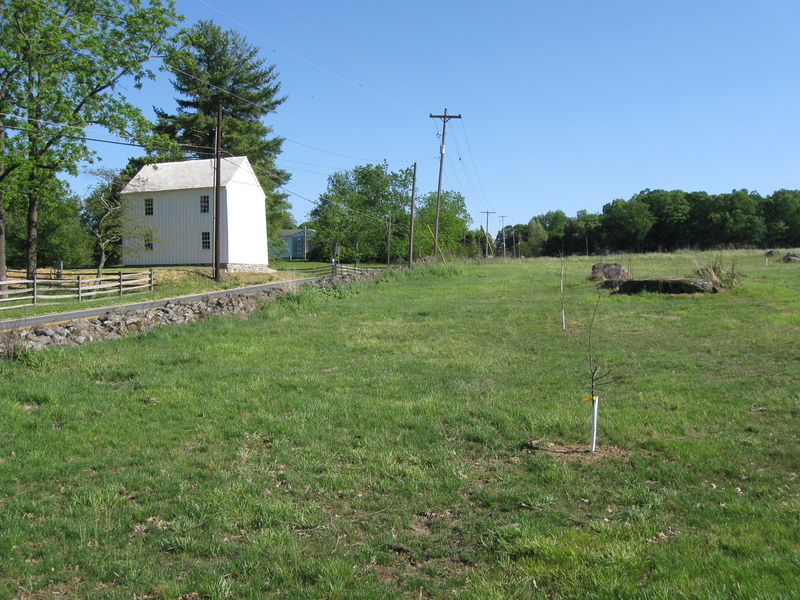 The Patterson Orchard occupies the cut green grass/lawn area west of the Taneytown Road. The areas with longer grass surrounding the cut grass was not replanted. 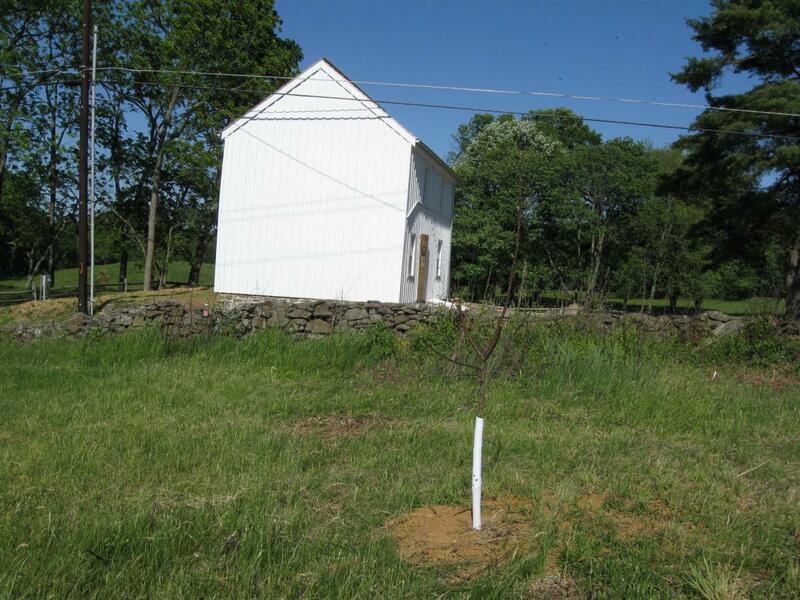 We’re at the northwest corner of the orchard and will take a walk around it. This view was taken facing southeast at approximately 4:30 PM on Monday, May 10, 2010. The northeast corner of the orchard looking at the east row of new trees. 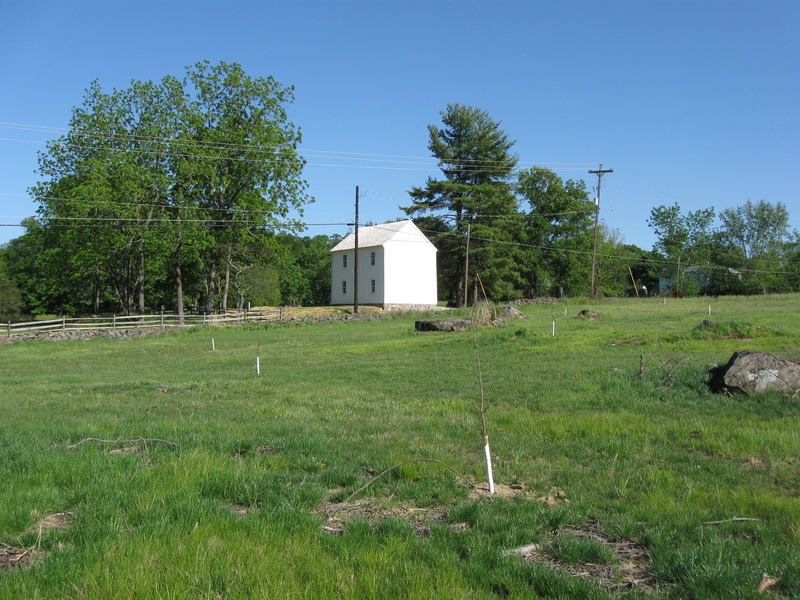 The Patterson House and the Taneytown Road are on the left. There are three rows of trees, five trees per row. This view was taken facing south at approximately 4:30 PM on Monday, May 10, 2010. The northeast corner of the orchard from another angle. This view was taken facing southwest at approximately 4:30 PM on Monday, May 10, 2010. 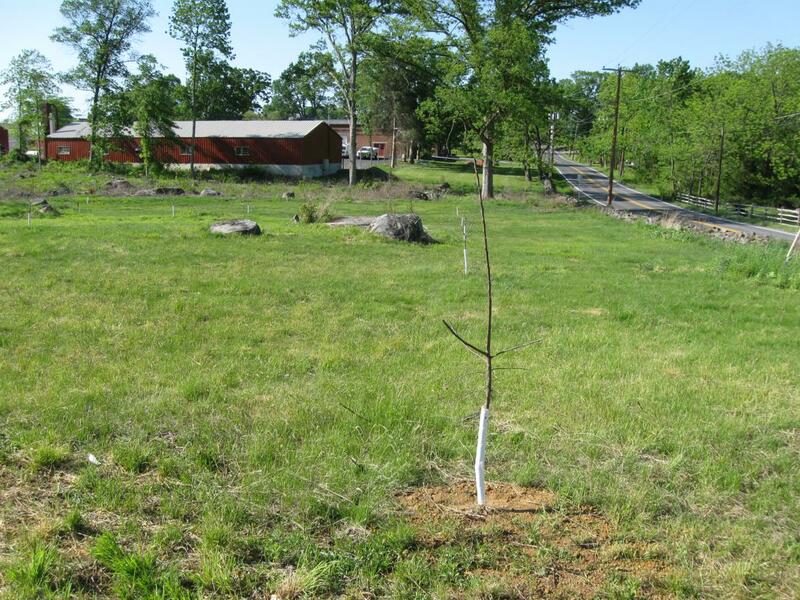 National Park Service spokesperson Katie Lawhon informed us that they planted several varieties of “hardy” apple trees that may bear fruit. This view was taken facing east at approximately 4:30 PM on Monday, May 10, 2010. The southeast corner of the orchard looking down the east row of trees. The National Park Service maintenance complex is in the left background. The Taneytown Road is on the right. This view was taken facing north at approximately 4:30 PM on Monday, May 10, 2010. 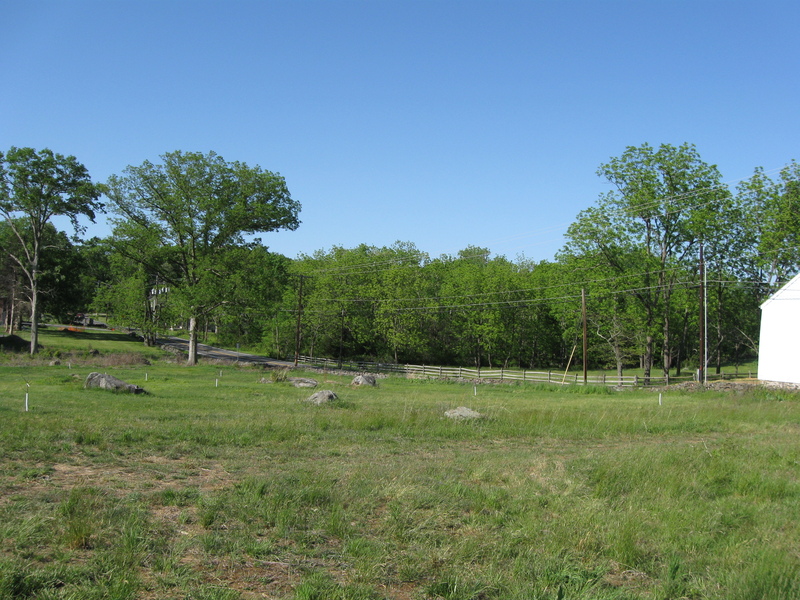 The southeast corner of the orchard looking from another angle. On the question of whether or not the trees will bear fruit, Katie Lawhon told us, “Out of concern for the environment though, the National Park Service will only be doing a minimum amount of spraying–just enough to keep the trees alive–so the yield will be low. This view was taken facing northwest at approximately 4:30 PM on Monday, May 10, 2010. Looking down the middle row of apple trees. This view was taken facing northwest at approximately 4:30 PM on Monday, May 10, 2010. 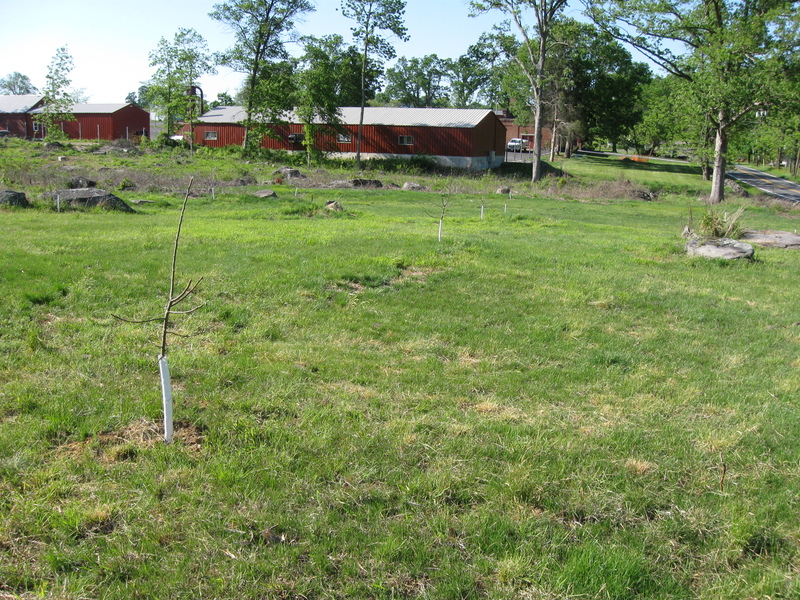 The west row of apple trees. This view was taken facing northwest at approximately 4:30 PM on Monday, May 10, 2010. We’re outside the southwest corner of the orchard. A part of the Patterson House is visible on the right. This view was taken facing northeast at approximately 4:30 PM on Monday, May 10, 2010. 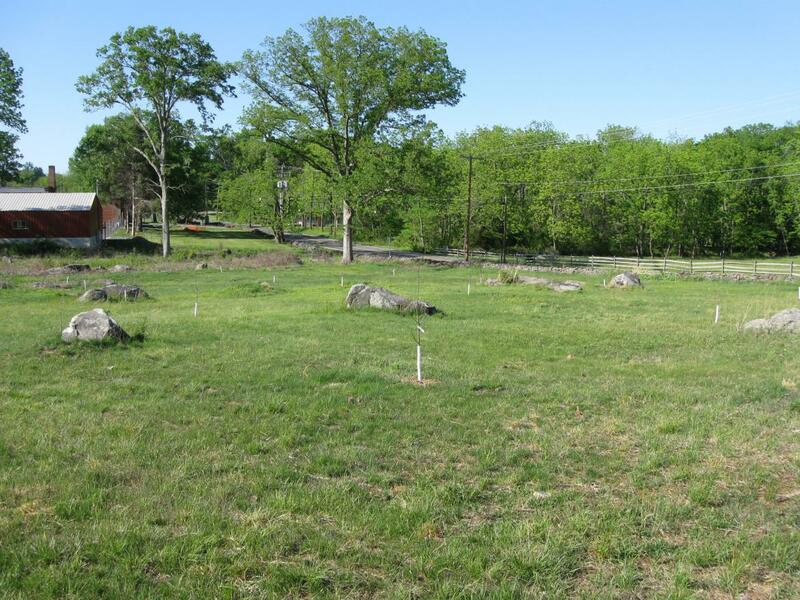 We’re now closer to the southwest corner of the orchard. This view was taken facing northeast at approximately 4:30 PM on Monday, May 10, 2010. This tree is part of the outer or western row. This view was taken facing east at approximately 4:30 PM on Monday, May 10, 2010. 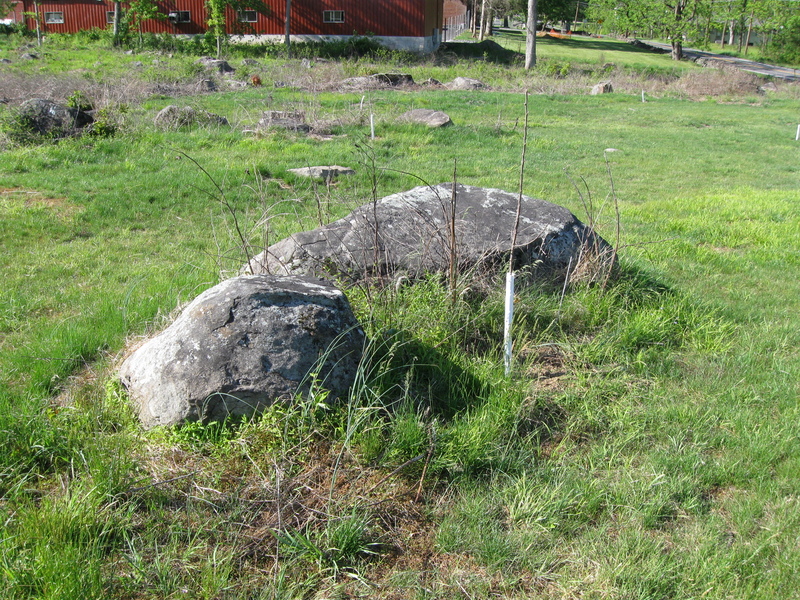 This tree in the western row was planted among the rocks. This view was taken facing north at approximately 4:30 PM on Monday, May 10, 2010. Gettysburg’s William Patterson House Update on October 3, 2009. Gettysburg’s William Patterson House Stabilization Update on October 15, 2009. Gettysburg’s William Patterson House Stabilization Update on November 1, 2009. Gettysburg’s William Patterson House Stabilization Update on November 10, 2009. Gettysburg’s William Patterson House Update: Windows Installed on November 28, 2009. Gettysburg’s William Patterson House Update on December 11, 2009. Gettysburg’s William Patterson House January Update on January 13, 2010. Gettysburg’s William Patterson House is Receiving Siding on April 2, 2010. Gettysburg’s William Patterson House: Board and Batten Siding on the East Side on April 7, 2010. Gettysburg’s William Patterson House: Siding on the West Side, Kitchen Foundation on April 12, 2010. Gettysburg’s William Patterson House: Siding on the North Side, Foundation Progress April 20, 2010. William Patterson House: Logs Completely Hidden Beneath Siding on April 27, 2010. 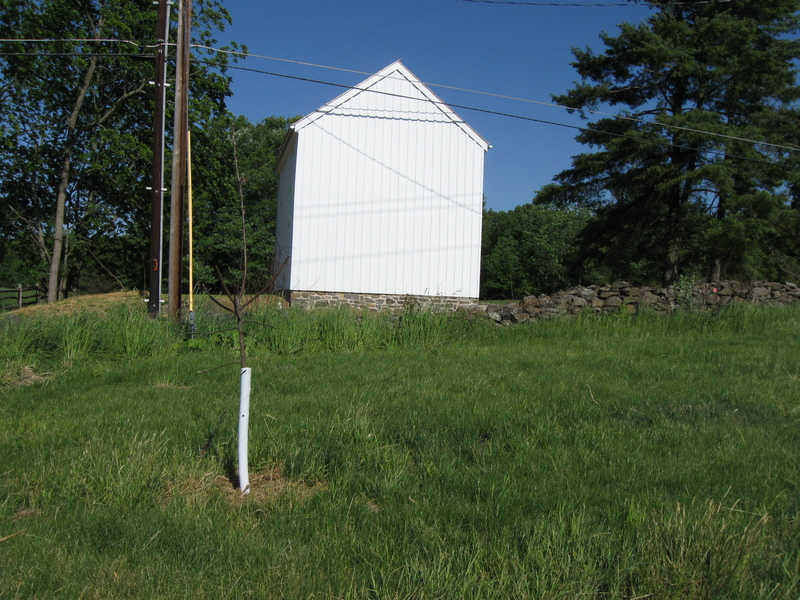 William Patterson House: Siding Completed, Scaffolding Removed, Grass Planted on May 5, 2010.